Large-sized and rigid polyethylene pedal board with heavy-duty case. 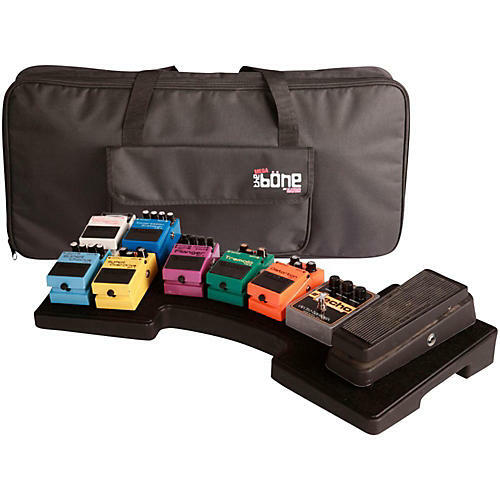 The Gator G-Mega Bone Pedal Board is perfect for arranging and transporting a number of effects pedals. Made of molded polyethylene, this pedal board is curved to offer maximum playing efficiency. It's gig ready and comes with a 9v daisy chain power supply and a custom carrying case for effortless setup and transport. Put your pedals on a rugged pedestal. Order today.